Canberra filmmaker Marisa Martin will feature at Flickerfest’s Best Of Australian Shorts at the Palace Electric on Thursday night. Photos: Supplied. Canberra film-makers will have a strong presence at a special screening of top Australian short films at the Palace Electric cinema in NewActon on Thursday night (4 April). The 2019 Flickerfest National Tour is returning to Canberra with Best Of Australian Shorts, screening highlights from the short film festival’s 10-day competition season at Bondi in January. Canberra mother and daughter team Geraldine and Marisa Martin took over seven years to make Della Mortika Carousel Of Shame, which won Best Australian Animation at Flickerfest 2019. Geraldine led the writing side of the project and Marisa the design and animation. It’s a steampunk animated tale of three sisters ‘where steam is king, where life is hard and where adventure is always adventure’ and stars the voices of Noni Hazlehurst, Xavier Samuels and one of Canberra’s favourite sons, Paul McDermott. Marisa is the director of a small production house EoR Media: Enemies of Reality Films, and has 15 years’ experience in animation, production design and illustration. She splits her production time between animation and live action projects and as well as Flickerfest, her films have screened at the St Kilda Film Festival and the New York International Short Film Festival. 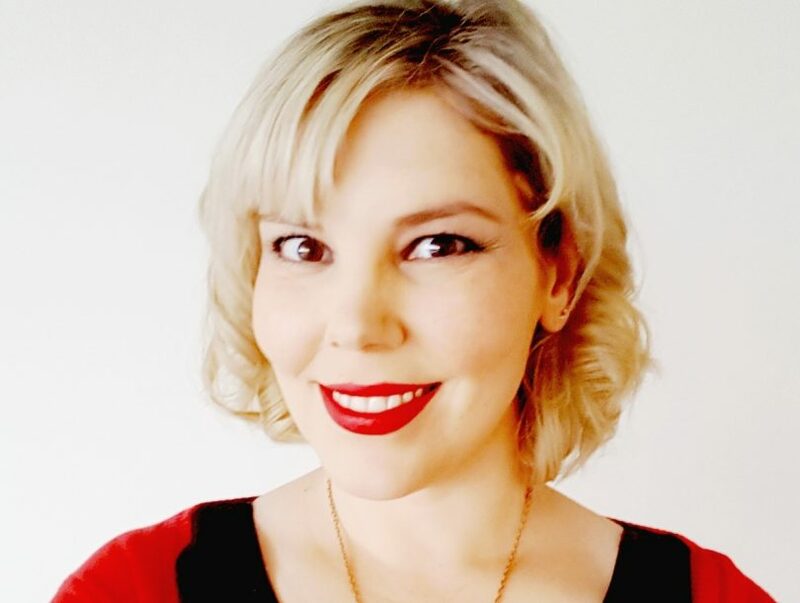 In recent years, Marisa has focused on animation, screen graphics and graphic design for film and television, working on projects such as Cleverman (s2), Janet King (s3), Pacific Rim 2, Top of the Lake (s2), Nekromancer, Pine Gap and The Secret Daughter (s2). She has run the Lights! Canberra! Action! Filmmaking festival for 15 years and has also been a member of the ScreenACT Industry Taskforce Panel, artsACT Peer Review Committee for Film & Digital Media Funding and is also a film reviewer for the Movie Club on ArtSound FM Radio. And if that wasn’t enough, she occasionally teaches production and screenwriting at the University of Canberra. A scene from Ghostbear, written and directed by Paul McDermott. Also on the bill is Ghostbear, written and directed by Paul McDermott. 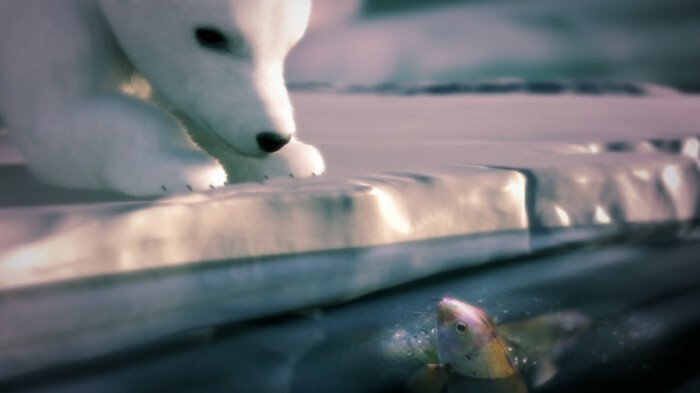 The film is a beautifully animated and heartfelt film that tackles the issue of our disappearing animals, telling the story of a polar bear cub wandering the Arctic in search of his place in the world, and his birthplace in the stars. Other films include Gracie Otto’s Desert Dash, a fantasy story on the outskirts of Australia where opals are now the currency for survival in the game of Desert Dash. When a feisty heroine gets the opportunity to ‘level up’, there is no choice but to win. The moving family drama All These Creatures, was the winner of the Palme d’Or at Cannes in 2018 and Best Editing in an Australian Short Film at Flickerfest 2019. It tells how an adolescent boy attempts to untangle his memories of a mysterious infestation, the unravelling of his father and the little creatures inside us all. Meanwhile, legendary actor Jack Thompson stars in Home, in which two men from town watch over a family whose lives are about to change forever. Blue World Order – Canberra Premiere Event @ Palace Electric and NFSA this Friday night!